Engaged? Thinking about it? 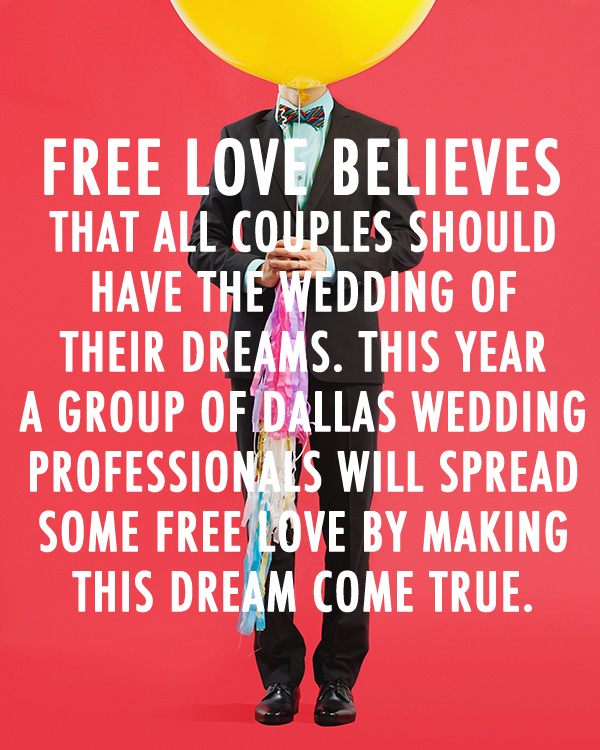 Well, now’s the time because a group of D/FW vendors are pulling together to give a couple a free wedding this October! For more information on how to enter, who the vendors are, and more, visit Free Love’s website, Facebook, or even Instagram!